Artists pour out their emotions from their conscious and subconscious thoughts when they write, record and perform it for audiences who in turn heal from the music. Many artists suffer from anxiety and depression. Being an artist for a living can be rewarding and medicinal, but can conversely stimulate more mental health issues. An obvious reason that this happens is because of the long erratic hours for little pay. However, a more subtle correlation is, energetically, after a performance, the artist has relived the story they wrote about and given a part of themselves to the audience. Afterward, when everyone is gone, it can feel like something is missing. The adrenaline rush is gone. The people parading around them are gone. The compliments, the love from fans, are all too quickly gone…. It takes strength and passion to be an artist. SoKo, Stéphanie Sokolinski, is a French singer-songwriter, musician and actress who is very open about her mind obstacles (that’s what The Strange is Beautiful calls mental illnesses). SoKo’s comfort in talking about how her anxiety and her yeti, aka depression, is deeply intertwined with her music – not only in this interview but often on her social media – unravels the meaning and intention behind her vulnerable songs and encourages others struggling to express their feelings through art. We had the pleasure of interviewing her about how being a musician affects her mental health. 1. In comparison to your last album, how does performing your “My Dreams Dictate My Reality” affect your mental health when touring? With this new album, I wanted to transform as a person, and grow up emotionally in a healthier way. Stop being so depressed and enjoy life a little more. So I surrounded myself with happier sounds and arrangements. And though the lyrics and themes remain deeply personal and dark and all about my fears of death, abandonment, growing old, about my childhood and all the trauma caused there, it reflects all my moods, and emotions and scars. BUT, I wanted it to feel like this healing California weather. I recorded it in Venice Beach with Ross Robinson. It was important for the record to sound sunny and performing these songs that are more punky / new wavey / more epic is actually such a relief and super empowering. 2. If you could describe your seasonal depression as a monster, what would it look and act like and where would it live? 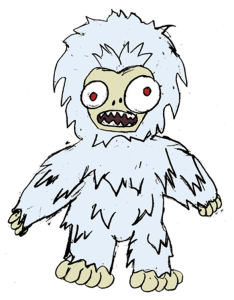 It would be the yeti I guess, not a cute fluffy one though. It would be really mean, tall, threatening, ferocious, scary and cold, blow snow storm at everyone and would live in any city where the sky gets grey and haunt people down with terrible suicidal thoughts. Anything non vegan. ///// Find a good vegan restaurant nearby. Bar, clubs, any place loud and with wasted people. ///// Then I just go to bed. Drunks, disrespectful //// So I surround myself with super positive and healthy and caring people. Electronic music, dance music, metal, rap, hip hop, anything aggressive really.. and sirenes.. they drive me nuts. //// So I avoid it..
Any group activities, sports.. ///// So I avoid any place with crowds. 4. Do you have songs that you cannot perform because they are about such painful memories? Uh…most of my songs are way too personal and sad and painful. But hey, that’s what I love about music. And I keep singing them day after day and they always affect me all the same and it always feels so challenging. But at the same time, connects me with my most vulnerable sides and it feels great…to remind yourself of what you really are. 5. Tell me about a time when creating art helped you mentally, emotionally, physically or spiritually. Oppositely, describe a time when creating art gave you pain. Each time I write a new song it’s so fulfilling, and painful at the same time. The last one I wrote called Visions that made it on that record is the only song where I don’t use the word “I”, though it’s one of the most personal songs I’ve ever wrote referring to some things that happened the night that my dad passed away and how it forced me to grow up. I had to dive back into this time and face it, accept it, turn it into something brighter – a song. Every single night when I play it, it’s always the hardest. The chorus lyrics are “forgive the ones you hate the most.” The person I hate the most being myself. This song is about forgiving myself for the guilt I carried my whole childhood thinking that I was responsible for my dad’s death. I thought my nightmares killed him..it was awful… but this song definitely helped me.. I think these two things go so much hand in hand for me. There’s no creation without satisfaction AND pain together. 6. If you were queen of the world for a day, what would you change? I would make death illegal for parents of small children. Parents would not be able to die until their kids are old enough. I guess I suffered from that too much. I will also make everything in life about love. 7. Do you think your anxiety increased with the lack of sleep that comes with being a musician? And do you think it’s possible to be as creative as you are if you were to get more sleep? And as soon as I think that I’m losing it, I can’t do it anymore, and try to rest for even half a day…I get SICK.. like physically sick.. completely fried. So my only solution is: never take time off and just keep on going. Feeling creative and making things is worth having anxiety over! 8. If you didn’t have anxieties or seasonal depression, would you still be able to write music? I’m always very up and down.. I’m a scorpio, I constantly need the struggle. I’m addicted to it. I need to die a billion times over and rebirth a million times more to prove myself that I’m alive and well. I love this sort of stamina and hate it too all at once. I never force myself to write, I only do it when I NEED it. Usually, when I’m facing something a bit sad or dramatic. Emotions that are deep and strong enough that they need to become songs or exist on paper. Most of my happy thoughts have no reasons to exist on paper mostly! Haha! 9. Tell me about your yoga practice. 10. Advice for other creatives suffering from anxiety or depression who are struggling to keep working. Write it ALL DOWN. Transform it into something bigger than you. Don’t be afraid to share it with the world. I think talking about it, is one step closer to accepting it and being better at dealing with it. 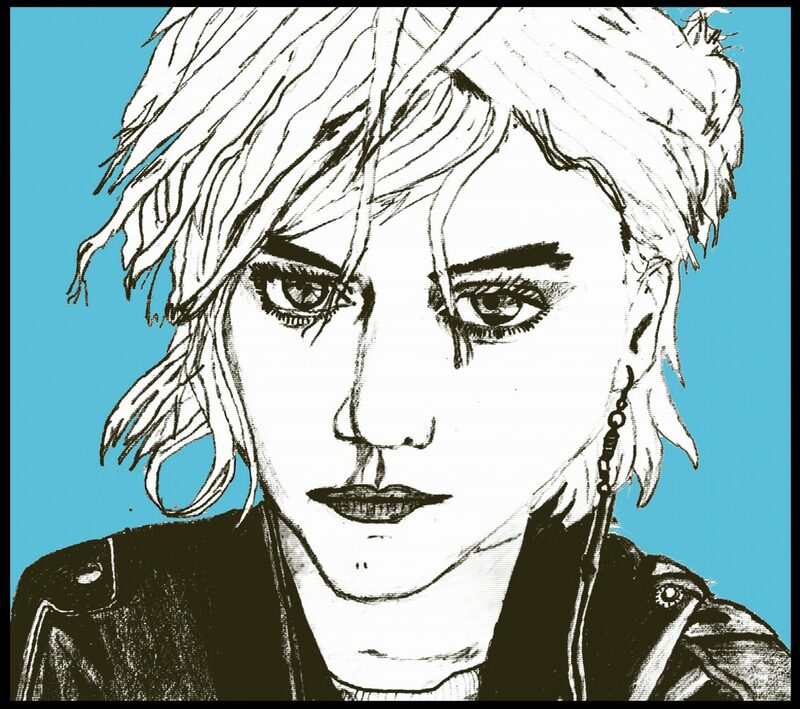 Back in March 2015, I had the pleasure of interviewing SoKo. In 2016, a shortened version of it was published in our print The Strange is Beautiful Alternative Self-Help Guide. Now, this was the extended digital version. Hope her answers give you comfort xoxox. Be sure to check out her new music below!